Ever worked with an Architect? The process is quite simple! We will work with you in developing your wish list. Together, we can look at new property locations, an existing building (or buildings), or your present property. We will want to know … Read more your thoughts on exterior and interior appearances and features. Give me photos or magazine clippings or sketches. We will go over what you will want in the finished design, we will review your schedule, and we want to work within your budget. Based on the Project Program, we might develop some quick sketches to formulate a conceptual Master Plan, or several plans. Nothing fancy, but we will study the project, … Read more and what surrounds it. What are the views? Are there natural breezes? Can we maximize daylight? What are the best locations for rooms? Are there specific zoning height restrictions, setbacks, or historic district requirements? We may prepare a simple Pro-Forma to review the project using a variable range of square footages and square foot costs to illustrate the potential low and high total project costs. 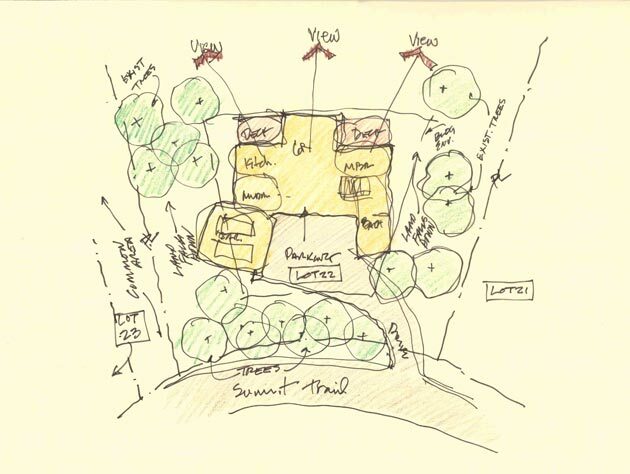 From the Master Plan concepts, we develop larger sketches where we show the individual rooms on a schematic plan, a few exterior views, and maybe a quick perspective. The drawings … Read more are small scale, usually at 1” equaling 8’. We also develop a quick construction estimate based on the size and location. 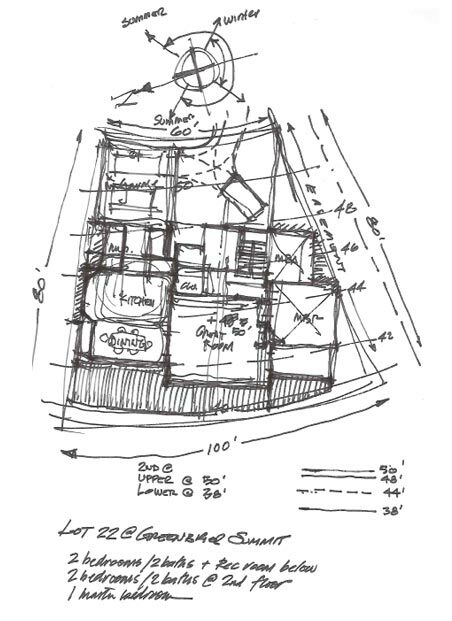 Once you approve the Schematic Design and estimate, we begin to enlarge the drawings to a 1” equaling 4’ scale. We will refine the floor plans, add more exterior elevation views, … Read more show a few cross-sections through the building, and begin to work with the structure and other ‘engineering’ aspects. We’ll also do another cost estimate. After you approve the Design Development drawings and cost estimate, we will prepare the final drawings that the contractor (and building inspector) will need. 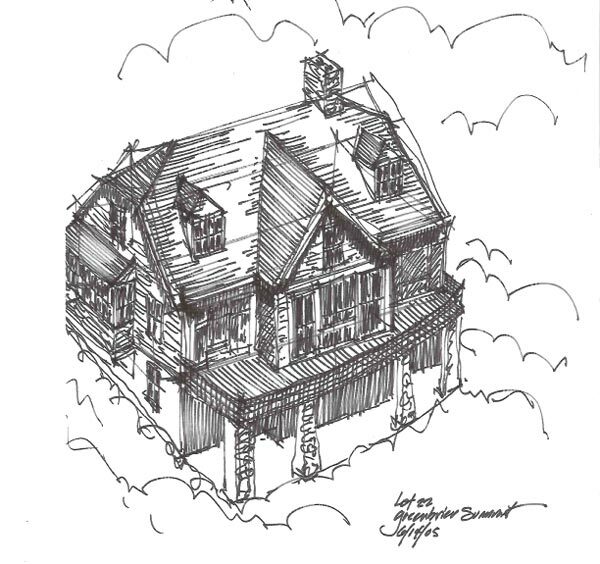 The plans will cover … Read more the foundation through the roof, and all exterior and interior views will be presented. We will include specific information on the doors, windows, interior finishes, and possibly cabinetry and woodwork, plus final structural and electrical; often, if requested, we will do plumbing and heating, ventilating, and air conditioning (HVAC) layouts and fitting/fixture selection. The plans show the contractor what to build and where; an accompanying set of specifications indicate what products to use and how they are to be furnished and installed. When the drawings are about 75% complete, we update our estimate. You may have a builder in mind, or several. We will assist you in working with one in a Negotiated Contract, or put the project out to bid to two or more builders. We assist, … Read more where needed, in pricing and in reviewing bids withs you, as they are submitted. We can also assist in developing contracts and in obtaining permits. Prior to construction, we organize a meeting to review project scope and site issues such as access, material storage, and utilities. As construction	… Read more proceeds, we regularly visit the site to review the contractor’s compliance with the drawings and specifications, and adherence to schedule, and follow up with Field Reports. We review the contractor’s payment requests, review the contractor’s submittals (samples and shop drawings), provide additional drawings and direction (if needed), answer questions, and represent your interests through the project. General consultation: Need an hour or two to get a professional opinion on a DIY (Do It Yourself) detail, paint color, or landscape or interior design feature? Call us! 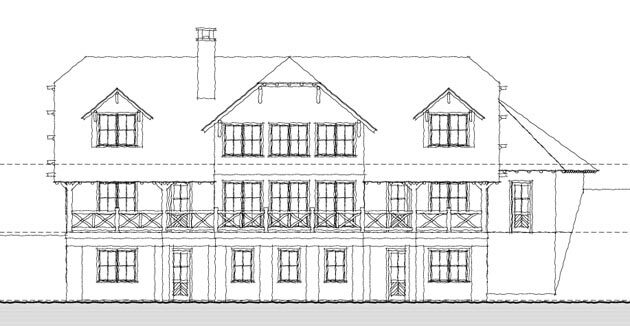 Measured Drawings: Have an existing building and no recorded plans? 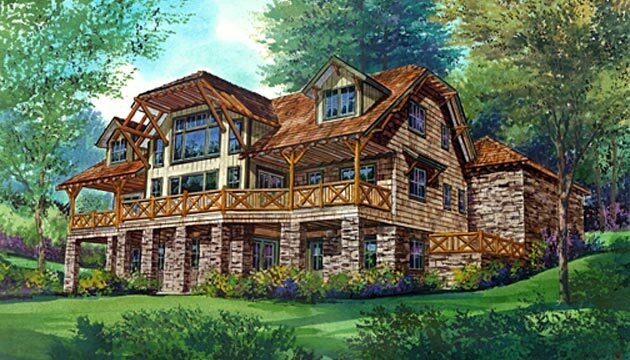 We will measure and prepare drawings of the structure. Guidelines: We have provided Architectural Review Board Guidelines to several public and private entities. Condition Assessments: Need an analysis of an existing building being considered for renovation? We will review the condition of the structure, identify architectural, structural, and mechanical/electrical code deficiencies, suggest means and methods of repair and improvement, and prepare cost estimates. Landscape Design: We also provide landscape and site design assistance to complement our architectural designs. Interior Design: The design does not always stop with the building ‘envelope’, but continues with tile and other material selections, colors, furnishings, window treatments, and wallcoverings. We will suggest and partner with local interior design consultants to complete your interiors. Cost is dependent on the scope of a project. Often a project begins with broad parameters in size, schedule, and budget. As the design is developed, the lines will get tighter on the drawings and the ‘unknowns’ are gradually reduced. For Professional Services, we typically recommend working on an Hourly plus Expense basis from Programming through Schematic Design, only charging for the time directed to your project. For Design Development and beyond, there are other options: A Fixed Fee for each subsequent phase, a Percentage of the Estimated (and later the Actual) Construction Cost for that work that is overseen by us, or continuation of the Hourly plus Expense basis. When we hire consultants, such as structural, interior, and civil engineering, we add them as the ‘Expenses’ when we bill Hourly plus Expenses, but they are included within any Fixed Fee or Percentage compensation. Out-of-Pocket, or Reimbursable, Expenses are billed in addition to the Professional Services listed above. These would include printing, postage, long-distance communications, travel (when authorized), filing fees (if any), and other variable costs that are part of any project.